The mother of a child in need of a lung transplant held a press conference on Saturday, two days before the Organ Procurement and Transplantation Network(OPTN) will review their organ transplant rule. Milagros Martinez, the mother of 11-year-old Javier Acosta, as well as her attorney, Stephen Harvey, spoke at a media briefing at the Children's Hospital of Philadelphia Saturday morning. Janet Murnaghan, the mother of 10-year-old Sarah Murnaghan, another child in need of a transplant, was scheduled to appear at the briefing but did not attend. "We're not trying to skip ahead of anyone," Martinez said during Saturday's press conference. "We just want him to have a fighting chance." According to Martinez, the family only wants the availability of a transplant to be based on how sick the patient is, not their age. "If someone is sicker than him then the lung should go to them," she said. "This should be based on the severity of his condition. That's all we're asking." On Wednesday, the national organ transplant network complied with a judge's order and placed Sarah on the adult waiting list for a donated lung. Martinez, whose son is staying at the same hospital, also asked the court for the same relief. Her son was also placed on the adult waiting list on Friday. The OPTN added Murnaghan to the list Wednesday night after U.S. District Judge Michael Baylson's ruling, U.S. Health and Human Services Secretary Kathleen Sebelius said Thursday. Murnaghan also remains on the priority list for a lung from a pediatric donor, Sebelius said. Her family, through a spokeswoman, said Sarah's condition had worsened Thursday. Martinez filed a lawsuit Thursday, asking a federal judge to add him to the list, saying he was facing death soon without a donated organ. Acosta, who has cystic fibrosis, is currently in the intensive care unit at CHOP. The lawsuit said his brother was Javier's age when he died while waiting for a lung transplant two years ago. A federal judge placed him on the official list to receive an adult lung transplant on Friday. 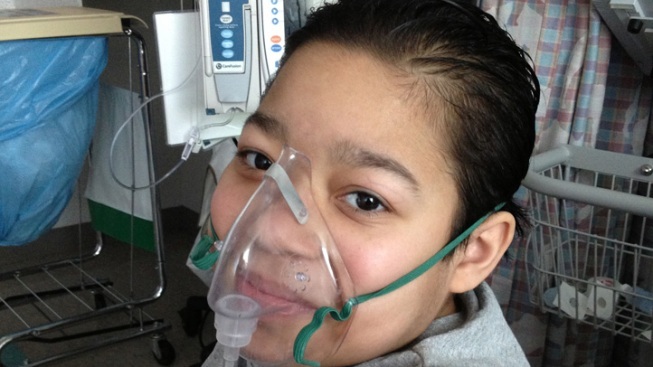 Sarah's parents had challenged existing transplant policy that made children under 12 wait for pediatric lungs to become available, or be offered lungs donated by adults after adolescents and adults on the waiting list had been considered. The ruling applied only to Sarah, who has end-stage cystic fibrosis. An expert questioned the decision on medical and ethical grounds. Sarah's family, who live Newtown Square, filed suit Wednesday. The Murnaghans say pediatric lungs are rarely donated, so they believe older children should have equal access to adult donations. Baylson suspended the age limit in the nation's transplant rules for 10 days for Sarah, who has been at the Philadelphia hospital for three months. A June 14 hearing on the request has been scheduled for a broader injunction. Nationwide, about 1,700 people are on the waiting list for a lung transplant, including 31 children under age 11, according to the Organ Procurement and Transplantation Network. Sebelius had declined to become involved in the case earlier this week, despite urgent pleas from several Pennsylvania congressmen.